The Titan XG60 by Horizon was custom engineered to fit in the smallest of crawl spaces or living areas. Weighing in at a mere 40 lbs and only 12" in height, the XG60 is the perfect machine for compact areas. 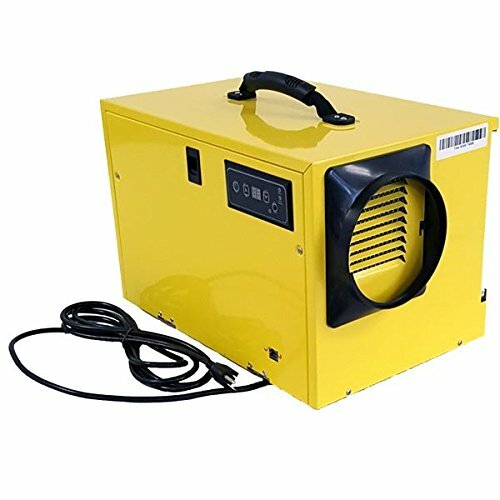 Despite it's space-saving design, the unit can easily maintain the perfect humidity in an area up to 8,000 ft3.The small but mighty XG60 produces a powerful 250 CFM at an efficient 2.53 L/kWh. This impressive machine can also be customized to meet your needs with multiple upgrade options including ducting, filters, and remote control. Whether you're facing too much moisture, unwelcome pests, or nasty mold, the Titan XG60 is the ideal dehumidifier for your application. If you have any questions about this product by Horizon Dehumidifier, contact us by completing and submitting the form below. If you are looking for a specif part number, please include it with your message.